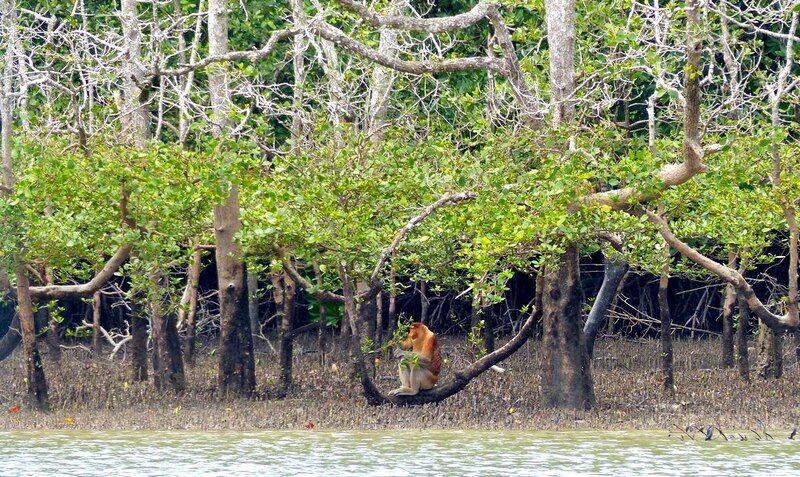 Proboscis monkeys are most famous, just as their name suggests, for their bulbous noses. The critically endangered primates are endemic to Borneo, where locals have long marveled at their protuberant facial appendages, which can grow to as much as 14cm in some of the males and which make the monkey resemble endearing comic book characters. But why their elongated noses? 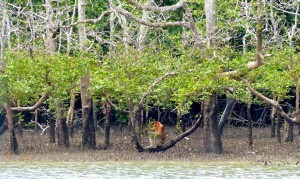 Scientists have posited that the monkeys’ sizeable protuberances serve to amplify their warning calls. Their swollen snouts contain a resonating chamber wherein sounds get amplified. Yet the monkeys’ noses, says a group of scientists, help the primates, or at least prominent males, in another way as well: by attracting females. 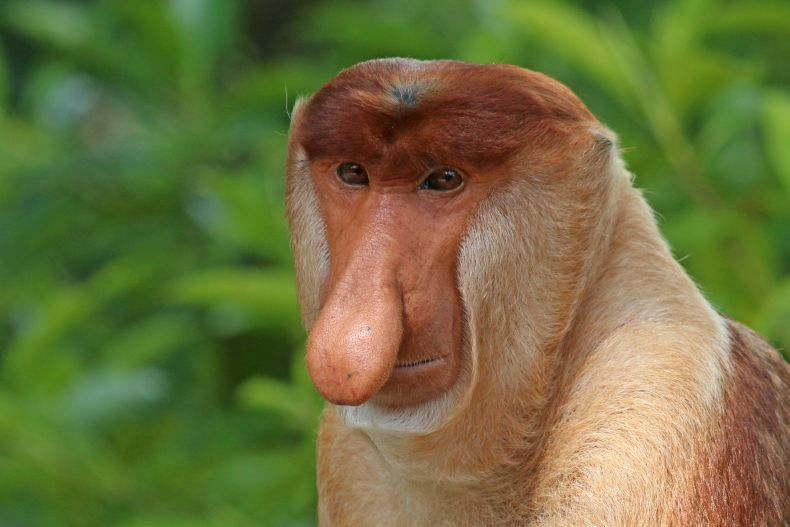 After conducting research on proboscis monkeys in the wild in the Lower Kinabatangan Wildlife Sanctuary and at several zoos, scientists from Cardiff University, the Danau Girang Field Centre, Kyoto University and the Sabah Wildlife Department have reached the conclusion that the larger male monkeys’ snouts tend to be, the more females they tend to attract. Perhaps this should not come as a surprise. Certain trademark physical features in the males of myriad species, from the tails of peacocks to the manes of lions, have long been known to be prominent factors in sexual selection whereby females within a given species show marked preference for males with certain prominent visual characteristics.